I’m pleased to announce today’s Merry Monday Freebie: Articles of Faith Prints. Click on any image in this post to find download links to all Free Simply Fresh Designs Items. Rotate prints in an 8×10 frame. Once the kids have learned one, swap it out for the next. Put in a 4×6 photo album or spiral bind like the Quiet Books. Laminate and put on a ring as a scripture bag tag. These are great Heather! Thanks for sharing them! Heather~ You are truly wonderful. Thank-you for your generous and wise spirit in creating and sharing these, and for your colorful and clean designs. Simply adorable! you amaze me!!!!!! i love love love all that you are doing to help making teaching the gospel and loving to use and see the gospel soo great!! Thank you so much for sharing! I can’t wait to print them off for my son. He’s turning 8 next year and I think this is perfect to help him memorize the Articles of Faith! Thank you. Thank you so much!!! These are GREAT! I love your blog. This is so amazing what you are doing. Way to follow the prophet and declare what you believe and help others do the same. You inspire me. I am so grateful and excited to make these quiet books. I was thinking the article of faith cards were really wonderful and would help my 10-year old son learn them. When I went to down load the file it didn’t work. I clicked on all three files to see if the 8×10, 4×6, or 3×4 prints would work and none worked. I was wondering if you had any suggestions? Thank you for sharing these with us! I am so excited to print theses up. Thank you for sharing these. I was looking around trying to find a fun way to share/teach these too my children. I love the bolded words to help facilitate discussion about the actual principles. Thanks again! Thank you so much for sharing your talent! This is so generous of you, I am very impressed. I’ve downloaded all your quiet books–my girls will be thrilled to look at these! Thanks again. Wow thanks for sharing. So cute!!! Your printables are amazing! Thank you so much for sharing! I’m really excited to make my girls some new activities for church. I think I’ll make some for their friends and cousins too. Thank you so much. I was really excited when I found these on line for our primary children. I love your website. What neat ideas you have!!! what an awesome idea!!! This is perfect to give the kids who have just been baptized to help them learn them all. thanks for sharing. Absolutely precious! Thank you so much for these. My boys & I are new to the church and are learning the Articles of Faith together. I’ve got an 8×10 hanging up in the kitchen for us to practice with and the 4×4 ones are going into a photo album & into our scripture bag! They are perfect! Amazing and so generous of you! I’m going to make these books for my class and son’s friends being baptized!! You are so wonderful to do this!!!!! Love the posters, everyone. Could you help with printing the smaller versions? Thank you so much, I am going to print these and give them to my achievement day girls. Hi there! I have a question for you about your Articles of Faith posters. I downloaded the files to do a 4 x 6 quiet book for my son, and notice that you didn’t have a “cover” page for this set. In your other quiet books I downloaded (and sadly just read that you had to remove them) you had a cover page for each of them. Would it be possible for you to create a cover page for the articles of faith set for those people, like me, who wish to use them as quiet books? Thanks so much! I love these!! Thank you, thank you, thank you! thank you so much – this is really generous of you! I am so glad these are still here and available. I have an Activity Day event, and can’t wait to share these with the darling girls. Thank you, sister dear, this is truly a work of love and it is much appreciated. Oh my thank you! I cannot even tell you how much time this has saved me!! Thank you for sharing . My boys would love these. THANKS!!! Perfect for my daughter who just turned 8, and is so excited to get all the AOF memorized for Achievement Days! My friend just told me about your darling site at church today and then sent me the link this afternoon. 🙂 The mini ones are going to be perfect for each of my kids in their scripture bags. Thank you so much for sharing your time and talents! Wow, your Articles of Faith Posters are fantastic. I love the design and colors used. Thanks so much for sharing your talents and this amazing freebie with us. I love your articles of faith design! I’m having trouble downloading? Any suggestions? Thank you! I just found your site and LOVE it! Thanks for all of the wonderful freebies! We plan to put these together with our activity day girls to help them learn the A of F. I love your style…thanks! So Great! Thanks a lot! Thank you so much! I love this and sending them to print to hang on our wall and memorize one at a time! Thanks you so much for giving your time and talents. I confess I was going to do something similar, but once I saw that someone had already done it – it saved me tons of time. Beautiful! Thank you, these are really beautiful and it’s so helpful, I thought I was going to have to make my own to help my son study them – but you’ve done all the work!! If you don’t mind, I’d like to share this blog post on mine! I really appreciate the time and effort you put into these projects. Thanks! These are beautiful and amazing! It is so wonderful of you to generously share of your time and talents with the rest of us. My kids will love these! Hi Heather! I was looking for some article of faith cards for my sons scripture bag and stumbled upon your site and I just figured out which Heather this was! Proud to be your old neighbor! Thanks for sharing these – I’ll check this out more often! These are SO beautiful and fun! Thank you so much for sharing them!!! I am trying to print the 4X6 Articles of Faith. I cant seem to do it. I have saved them and I have tried printing one by one which is what I need, and I have tried copy and paste. What am I doing wrong? Thank-you! Thank-You for sharing your talent with us. My kids love these. The flashcards motivate my kids to memorize the Articles of Faith. Thank you, these are so cute, and make it fun for us to learn out articles of faith. Thanks for being so generous with your talent! Once again I find you and your amazing prints! My primary girls are using these to help them memorize their article’s of faith. Thank you Heather! Hi Heather, you are an absolute star! One of the many talented folk who make the life of us less artistic bods so hassle free by sharing your superb handouts to encourage our little one to come unto Christ. Thank you! I love these cards! I am trying to print them off for my Activity Day girls and I can seems to print any of them. Is there something special I need to do? Can the 8×10 size be made into a 16×20 size when I go to print it? I am having trouble printing these and not sure why. It doesn’t matter if I “Open file” or “save as”..when the image comes up..the printer tab is diabled? any ideas? I love the idea to help memorize the Articles of Faith. Thanks for sharing them! Can you tell me how to print them? Thanks a bunch!! Hi…I just found your article of faith cards—genius!!! Thanks for sharing them! I do have one question though. It seems I’m having the same trouble some of the other people were…I can’t seem to print any of them out. The printer button is disabled or something. Did you ever figure out what the deal was? Or do you know if they did? I’m not computer savvy at all! Thanks again! THANK YOU FOR SHARING!! Going to give out as cards to my Activity Girls!! these are so fabulous! Do you have anything similar for the “my gospel standards”? Thanks for sharing! You did a great job! Thanks for sharing! What faith is this??? Obviously not Christian and following the real Bible. The law is old testament. We are saved by grace through our faith, not by our works or following the law. I could go on but if you need scripture references to back that up, I will be glad to provide. Thank you so much!! These are perfect for my kids!!!! These are perfect. Thank you! For those having problems printing: The original downloaded file is zipped (compressed) and needs to be unzipped or extracted before it will give you the option to print. To do this, open the folder containing the zipped file (it’s probably labeled “downloads”), right click on the zipped file, and select “extract” or “unzip” from the options listed. You should now be able to print your files. Hope this helps some of you, I had the same problem at first! Thank You soooooooo much for making these, they will be prefect for the kids to work on and keep busy during road trips and just getting them by!!! Yep, Great Blog!! Thank you for sharing your fabulous printables!!!! You are one talented lady!! Thanks, I have gotten lost looking through all your neat work!! Thanks, again!!! Thank you from the bottom of my heart for sharing these. I am over the Primary program this Sunday and I also have sharing time. I have been a little stressed over the program and have had added stress with also having to do sharing time. These posters will be perfect for my sharing time!! I also can’t wait to use them with my kids at home. Thank you so much!!!!! Love these so much! We would like to use them for our entire Sr. Primary. I am not able to open and print. If its ok with you we would like to have these to give them at the 1st of the year. Help please. Thank you so much! These are simply perfect. Thank you for sharing these. Your designs are gorgeous. Thank you!!! I’m referring all the parents in my primary to your site to check it out! I am SO grateful to you. I stumbled upon your blog from Pinterest. I am so happy to have these Articles of Faith printables. I appreciate you sharing your talents with me. My daughter just made a goal to memorize these and your work will be displayed in our home. They are absolutely wonderful. Thank you so much for putting the work into these! They are so cute! Our primary thanks you so much!!! I’m also posting your theme posters int he primary room. I love it when things all come together!! THANK YOU!!! thank you for the article of faith cards. we are going to use them for memorizing at home. I am new to primary and just found your wonderful blog! Thank you so much for your work and effort and then sharing them with us. These and your other items are just beautiful! I am planning on making a set for my kids for valentines day! I simply want to say I’m very new to blogging and really liked you’re web-site. Most likely I’m likely to bookmark your site . You amazingly come with awesome stories. Many thanks for sharing your blog. Hi Heather! I love all of your printables! I have been trying to print off the Articles of Faith cards but have not been able to. Are they still available to print? Thank you! I cannot get these to print out and I see that I am not the only one. Can you please tell me what I am doing wrong? ***FOR THOSE WHO CAN’T ACCESS THE DOWNLOADS***. The downloads are working for me. Once you have downloaded the individual sizes, you will need to unzip the folder to access the .jpg images. You will need software on your computer to do this. Most PC’s and Mac’s come with software, but if you’re running into trouble, you may need to find a free one online to download. If you want to print at home, you can print in a *Preview* type program… or insert the images into a word document to resize. Picasa can also print and crop. So cute, thank you! My kids will be so excited! Thanks a million these are so cute! Thank you so much! The girls will love taking these beautiful cards home! I love these! 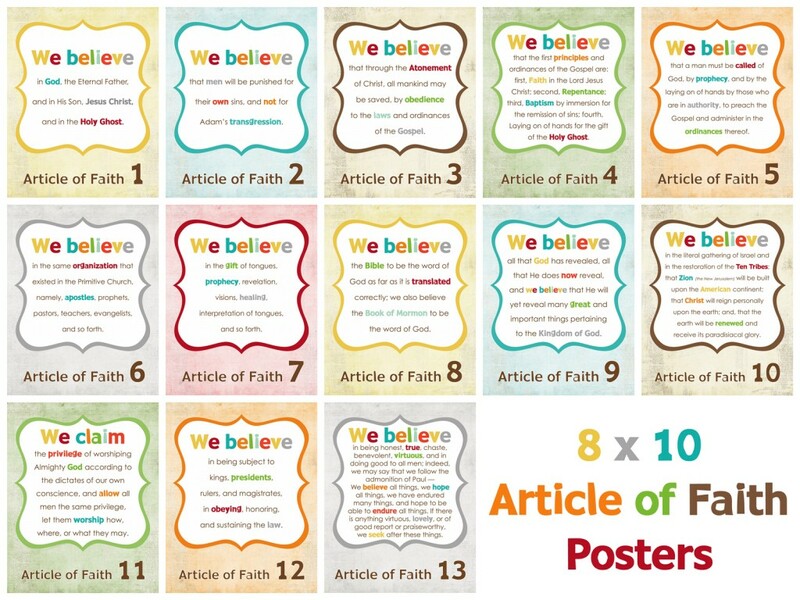 We would like to print them and put the article of faith that we are working on each month on our bulletin board. I wondered if there is any way you could send me a copy that could be printed in a larger size so that it could be seen from the back of our primary room. These are SO GREAT! We will be using the 4×6 size for our Primary bulletin board. Thank you for sharing your talents with the rest of us. I guess I am doing something very wrong. I have saved the file to my computer but when I try to open it, it just opens a pop up for win zip and asks me to register Can you please help?!? I am trying to get the 4×6 size. nice work! thank-you so much for sharing! I don’t even know where to begin. This is going to be long, so bear with me. I am a senior missionary serving with my husband in Port Alfred, South Africa. Our home is in Logandale, Nevada. We are 9,178 miles from there. We will be serving here for 23 months. My husband is the Branch President. I am the Seminary and Institute teacher and I sub almost weekly in our branch in either Primary or Young Women’s and always in music. We have 7 active Melchezidik Priesthood holders, seven young women, and twelve members of Primary. These people have nothing. Yet they have everything. They have the gospel of Jesus Christ. I wish I could transport you here for one Sunday and let you sit in a room with these young women. They have such hope. Most of them have been members less than three years. We are working on the Articles of Faith. We have to be so very basic with the members here. We have promised the YM and YW an activity at the end of the month if they work hard on memorizing them. I have printed your cute cards and will hand them out. There are no words to describe how grateful I am to you for making your talents available to the World Wide Church. And most importantly that you do it free. I see some things that are made available at a cost. I am more than happy to pay for costly creations, but the expense of getting them to Africa is exhorbent, and most likely it will not arrive. They have no access to computers or any form of technology. Anything I give them is SO appreciated and so helpful. These beautiful girls are exactly the same as any teenage girl. They laugh, they giggle, they like clothes and shoes, they like boys, they like music. We are all sisters. Thank you sister for sharing your talent. I love you because you are my sister in the gospel and your talents are blessing the life of a group of young women in Port Alfred, South Africa. These are perfect for our new year’s resolution to memorize the articles of faith with our family. Thank you for sharing your talent!!!! Thank you so much! These are perfect for Primary. We are working on the Article of Faith songs this year! Thank you for sharing ! my 3 year old loves these! I would love to print these for my 2 kids, I can’t get the link to work..would you please send me a copy via email? Thank you so much for sharing! Love them but cant print as others have sad they are having the same issue. Any suggestions? Thank you so much! Printed today and are using for FHE! So adorable! Thanks so much! I’m using these for my Primary class. We’re trying to memorize the Articles of Faith, and these will make it fun and much easier! I downloaded all three sizes and saved them to my file. I tried to print them and I was told that there is a problem. Could you email me some copies so I can print them. I am so excited to have them available for my grandchildren when they come to visit. I am also excited to use them for myself as a refresher. I am also unable to print out the 8 X 10 copies like some of the others. Would really appreciate it if you could send them by email. Thanks so much! I really appreciate you putting these together!! I can’t get these to open either, can you email them to me please? Thank you so much for sharing. Our Primary really need some ‘learning aids’ such as these…to encourage their memorisation of the AOF. I can’t seem to get these to print either and I would love to have a copy of them. Could you please email me a copy. Thank you so much. Oh my gosh I love you! These are so cute. My seven year old daughter and I are so excited to use these. THANK YOU!! I am having trouble printing these also. Could you please email me the files or instructions on how to print them? Thanks so much. I will probably use the 4×6 and 3×4 for our Primary kids. I tried to print these cards to use with my children and was unable to get them to print. I see that others have requested the cards to be sent in an email so they can be printed. Would you be willing to email a copy to me? I tried again to download these, but my computer can’t open them because it found a problem with the file. What am I doing wrong? Once melted add the cocoa butter and stir until just melted. You can almost think of your skin as a window into the health of your entire body. throw on at the beach, pool, or around the house. the old lady yellowish I-drank too-much-Starbucks teeth. So you can get very fashionable swimwear made from tricot. all the more enjoyable as well as comfortable. you feel confident and more beautiful. bring individuals with you whenever you play Minecraft, you’ll notice that there are a great number of things in the game that you may think have to be changed. When many weeks of progression, along with several weeks of broad testing, we’ve been capable of establish all of our private hack detectors plugin which is 99. These cool minecraft seeds won’t make you face resource-related problems, as you will have access to tons of them with the map they generate. not be easy, but may prove to be a worthy experience. respective tasks with utmost ease and convenience. trying to print and its not working. I was hoping that an emailed copy would work. 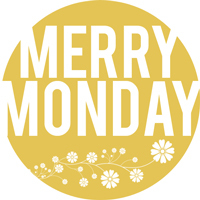 Thanks so much for such a cute and free printable. you are making my faith in god class so much better! Im trying to print the 3×4 prints can you please email these to me. They would be perfect. Thank you so much. I Love these but am also having trouble downloading them to print them out. I would like a copy of the two smaller sizes so I can make them and give them to my primary kids for christmas. Thank you for your time and talent! I am the new Cub Scout/Faith in God Leader for the boys of our branch and would LOVE to have the 8×10 and the 4×6 printouts but can’t even get it to down load. Could you please email them to me? Thanks!!! Hello, I love these and am going to use them for my A of F bulletin in Primary. I wanted to add something to the bulletin and would like to use the same font. Would you mind telling me what font you used. So cute! not able to download…can you email me? thanks… Great for my boys and my Sunbeams! Trying to help my wife out by getting the 4×6 Articles of Faith cards. I’m getting a dropbox error when I try to download. Can you please email me the 4×6 Articles of Faith cards? Thanks. Thank you so much! I’ve been looking for something fun, yet readable, to put up on our fridge. Now we can have fun memorizing and have something beautiful to look at! I’m trying to print the 3×4 cards on a 4×6 card but it doesn’t print. However if I use a full size page, they print exactly in the middle. How do I get the AofF cards to print on the 4×6 cards? Thank you. PS And I love these cards; I find myself always coming back to them. PPS If there is a better version that one pays for, I would be interested in it. constantly be the very best cost. also a member of Hermann Park Conservancy’s Urban Green group. please think about composing a letter to the publisher. Thank you so much! I really loved that you highlighted specific words in color. It has made it a great way for me to help my kids understand the definitions of those specific words so they can understand the whole article of faith better. You’re amazing!! Thank you so much for these, I can’t wait to use them for my primary class! They are beautiful and I’m going to use them when my little boy gets older to start learning them. Thank you, thank you!